Azizi Developments, one of the leading private developers in the UAE, has launched the sale of Bayt by Azizi in Dubai Sports City, a new short-term rental home concept through which investors can gain higher returns by having their owned apartments managed and serviced for them. Designed to suit the needs of those who value a balanced and healthy lifestyle, this new residential property features 431 apartments comprising 238 studios, 140 one- and 53 two-bedroom apartments. 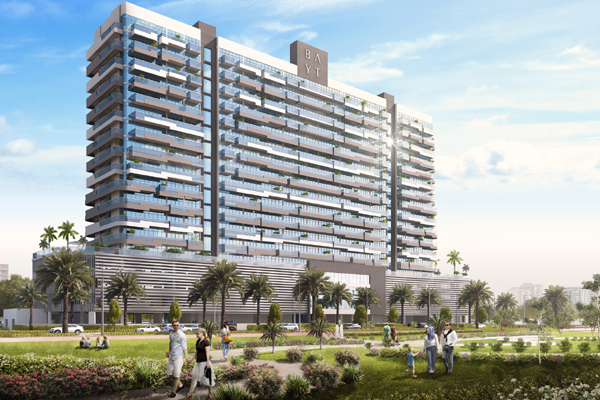 With the wellness of its residents being its prime consideration, Bayt is designed to enhance the quality of life through its spacious balconies, with corner units having large terraces of over 1,076 sq ft, said the Emirati developer. Panoramic elevators offer stunning views of the neighbourhood while the dedicated plantation area on the facade allows residents to grow gardens, it stated. As per the deal, Azizi Developments will provide registration, licensing and hotel-quality service while also administering all interior design and marketing functions, effectively relieving customers of the hassle associated with short-term letting. While investors can still choose to live in their properties, rent them out for the long term, or sell them, the short-term letting process ensures a substantially higher ROI (return on investment) of more than 35 per cent, stated the developer. Owners also have the option to reside in their apartments when they please, while letting Azizi Developments rent them out in the interim, allowing for more flexibility and maximum occupancy, it added. CEO Farhad Azizi said: "This outstanding new concept is our response to a growing market need for short-term housing and complements the tourism development strategy of Dubai." Given its central location along the growth corridor of Dubai, the development stands out for its extraordinary connectivity, as well as for the multitude of best-in-class shopping, leisure and sporting options in its vicinity. Set in Dubai Sports City on both Al Khail Road and Sheikh Mohammed bin Zayed Road, Bayt by Azizi offers residents easy access to the rest of Dubai. The development is also in proximity to Dubai South, the Expo 2020 site, Al Maktoum International Airport, Mall of Emirates, JBR and Dubai Marina, among many other major points of interest.